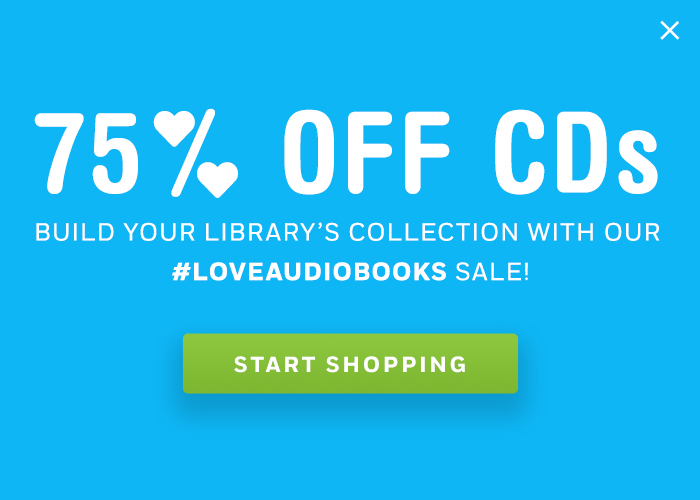 Awards & Recognition	June’s LibraryReads Are Perfect for Summer Listening! Make sure your patrons are aware of June’s LibraryReads’ picks. From a mythical fantasy adventure with THE WAKING LAND to a chilling domestic mystery in THE CHILD, June’s LibraryReads won’t let your patrons put their headphones down. Make sure to put these excellent titles up front to remind your patrons that LibraryReads also make great listens! Find out why these LibraryReads make great listens with the audiobooks below and view the full list of June LibraryReads picks here. 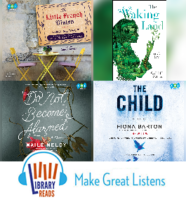 Check out our LibraryReads Make Great Listens collection to see all of our BOT LibraryReads picks (since the program began). Why try the audio? Bates’ enthralling debut transports listeners into the magical world of a courageous heroine facing her destiny. THE WAKING LAND brings imagination, suspense, and emotion that will have listeners hooked from the start. Narrator Erin Spencer captures Lady Elanna’s strong spirit as she grapples with the unthinkable and encounters challenges on her path to rebellion. Why try the audio? Award-winning author Meloy brings listeners every parent’s worst nightmare when four children disappear when their cruise makes port in Central America. Liv, Nora, and their husbands are thrust into crisis-mode as they try to find their children in an unfamiliar place and find their relationships tested along the way. This compelling thriller, told from the perspectives of both the children and adults, will keep listeners guessing until the end. Why try the audio? The follow-up to Barton’s New York Times bestselling debut, The Widow, delivers suspense, secrets, and heartbreaking mystery that ensues when the skeleton of a baby is found at a construction site, appearing to have been buried many years before. Journalist Kate Waters, whom listeners will recognize from New York Times bestseller The Widow, launches an investigation that will weave a web more complicated than she could imagine. A talented cast of narrators guides listeners through the twists and turns of this story. Why try the audio? The author of the New York Times and internationally bestselling novel, The Little Paris Bookshop, tells the story of Marianne’s new beginning on the coast of Brittany after she finally decides to make a change in her unhappy marriage. Marianne is taken in by a group of locals who aid her in self-discovery and finds the love that will change her life forever. Narrator Emma Bering charms listeners with Marianne’s second chance at life and the way she rediscovers the marvel of the world around her. See all ten of June’s LibraryReads 2017 picks on the LibraryReads site.